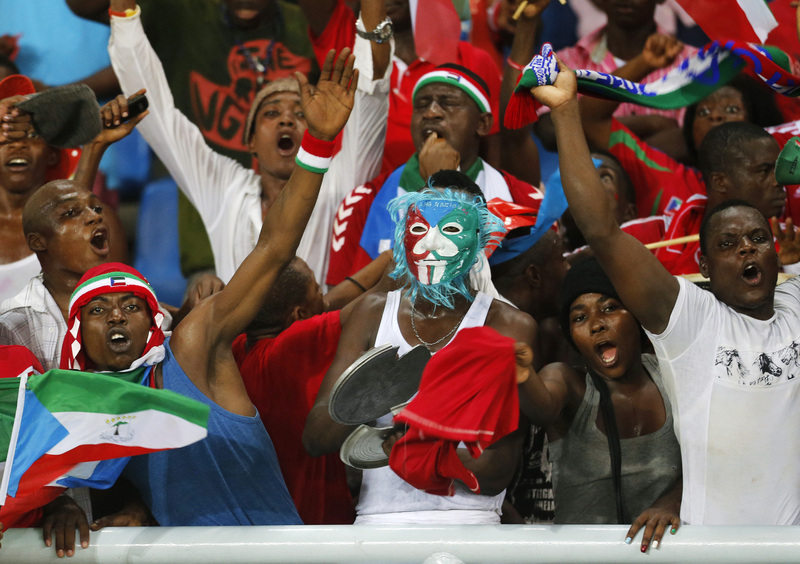 BATA, Equatorial Guinea _ Life in Equatorial Guinea ground to a halt Saturday, as much of the country prepared to watch the home team take on Tunisia in the Africa Cup of Nations quarterfinals. Equatorial Guinea last appeared in the quarterfinals in 2012, but for many, this year’s showing has even greater significance. The team had failed to qualify for the tournament initially, but by virtue of the country’s stepping in to host at the last minute, ended up getting to play in the end. Team coach Esteban Becker, of Argentina, was hired just two weeks before the tournament started, and many expected the Nzalang Nacional, the lowest ranked team in Cup, to falter in group play. Instead, Becker’s team eked out a second place finish in Group A, behind Congo, making it to the elimination rounds. “We are prepared for going to the finals and to make history. If we win it will be a major victory for the country, and everything is going to be crazy,” Becker told VOA. Many of the government’s ministers, along with President Teodoro Obiang Nguema Mbasogo, traveled to the commercial capital Bata, on the mainland, to watch the evening match, and police were out in force throughout the city. National flags were flying on almost every car in town with restaurants, clubs, and citizens emblazoned in red T-shirts: the colors of the team. “We win or lose, we are going to have a party,” Mama Nema, owner of the well-regarded Bata restaurant Corisquenia, told VOA. Drama is surrounding the other quarterfinal match-up Saturday between rivals Congo and Democratic Republic of Congo. DRC coach Jean Florent Ikwange was an assistant coach to Congo’s coach Claude Marie Le Roy until he was fired a year ago.